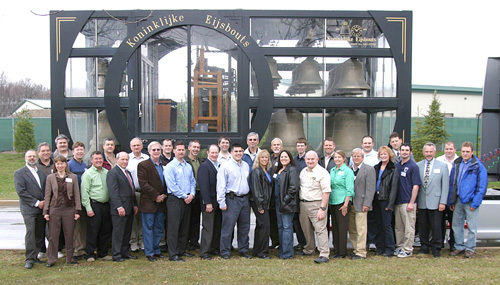 As a dealer for Chime Master® Carillons and Chime Systems, we at R&M Consulting have the ability to work with Architects and Building Planning Groups to design, develop and install carillons, chimes, bells and clocks in free standing towers or church steeples and roofs as required. We offer complete design service along with one of the premier suppliers of this type of equipment. Chime Master® is affiliated with the bell foundry of Royal Eijsbouts which means that we can supply you with a single bell, a peal of swinging bells, a chime or a carillon with electrical and/or traditional mechanical clavier action. Because we are a registered dealer of these products, we can offer you pricing for new or used product; we can arrange for bells to be either decorated or undecorated per the customer's wishes, and we have the backing of one of the industries' premier suppliers. Contact us for complete service, from design to installation and ongoing service at 815-372-1990.